An Australian broadcaster has come onboard an adaptation of a bestselling book series from local producer SLR Productions and Germany’s ZDF Enterprises. The two companies are developing author Jacqueline Harvey’s Alice-Miranda books into a 26×30′ animated drama-comedy aimed at six- to nine-year-olds and Nine Network will be the local broadcaster in Australia. The 14-part book series, published by Penguin Random House, follow the adventures of a 10-year-old girl, her two best friends and a pony at a boarding school. 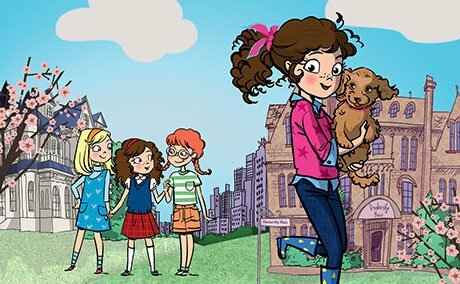 “The Alice-Miranda TV series will focus on friendship, fun, mystery and intrigue – all the elements six- to nine-year-olds love,” said SLR Productions’ CEO and executive producer Suzanne Ryan.